Hydrostatic motors are used in most riding mowers, but walk-behind models have been stuck with clunky geared transmissions. Honda is changing that with their Cruise Control Hydrostatic Transmission. This exclusive feature makes mower speed fully adjustable for better control on hills and around obstacles, and it works with other mower features to make stops and starts easier. Why Use a Hydrostatic Transmission? When you want to change your speed when driving a car, you can shift gears or use more or less throttle. You can also do the same thing on a mower, but there’s a problem: if you close the throttle, the engine won’t spin the blade as fast, reducing cutting performance. Instead of setting the speed exactly where you want it, you have to shift the transmission into gear and work around whatever speed it’s going. This makes mowing awkward when going over slopes, as the mower ends up going too slow or too fast. The gears are also too high for slow speed maneuvers, forcing the operator to shut off the drive system and push the mower when operating in narrow spaces and around landscape features. Hydrostatic transmissions commonly found on riding mowers and wide-area walk-behind mowers get around this by using a hydraulic pump to control drive speed. By changing the amount of fluid pumped by the hydraulic system, the speed can be varied independently of the throttle. The Cruise Control transmission works the same way, but it’s small enough to be used in a regular walk-behind mower. Instead of driving gears, the engine drives a hydraulic pump. This pump has a set of pistons connected to a swash plate. By changing the angle of this plate, the distance the pistons travel changes, increasing or decreasing the amount of fluid they pump. That fluid is used to drive a hydraulic motor connected to the wheels. In effect, it’s like having a second throttle independent of the engine. With the pump running at its full flow rate, the pump in the Cruise Control transmission can drive the hydraulic motor fast enough to reach a speed of 4 mph. That’s a brisk walking pace. Hydrostatic drive systems in riding mowers often use a combination of pumps, hoses, filters, and motors to drive the vehicle. However, Honda was able to design a complete hydrostatic drive system including the pump and motor into a single unit that’s no larger than a geared walk-behind mower transmission. This drive unit is sealed, so it requires no maintenance. There’s also no clutch to wear out, nor is there a belt connected to the engine that can slip and break. That means these mowers require less maintenance and have fewer points of failure than a walk-behind with a geared transmission. The bail on the top of the handle changes the swash plate angle, increasing speed as it’s closed. The cruise control lever below it limits plate movement, offering 9 settings for maximum speed. Usually, the bail will be fully engaged, so the mower speed will be the maximum set by the cruise control. The lower the cruise control setting is, the finer the speed adjustment is using the bail. This gives the mower precision control when operating in areas filled with obstacles without being erratic at high speeds. All models that have a hydrostatic transmission also come with the Roto-Stop blade stop system. This uses a clutch between the blade to the engine shaft, stopping the blade when the operator leaves the controls. With both the blade and bail disengaged, the engine can keep running without cutting or rolling away. When you return to the mower, you don’t need to restart the engine, and you can squeeze the bail to return to your original mowing speed as set, using the cruise control lever. Which Models have a Cruise Control Hydrostatic Transmission? Currently, Honda fits this transmission to the HRX217HYA, HRX17HZA, and HRC216HXA. 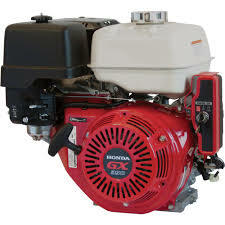 Honda Lawn Parts is an authorized Honda Engines and Honda Power Equipment dealer so we can supply you with what you need for your mower, generator, snowblower, pump, trimmer or engine. Our site has factory information built-in including parts diagrams and descriptions, making it easy to find exactly what you need. Whether you’re in the US or Canada, you have parts shipped to your door by visiting www.hondalawnparts.com. How powerful can a walk-behind snowblower be? Honda’s biggest two-stage models don’t just have augers that can cut through large snow drifts, they have the power to move even the heaviest accumulation. The HSS928 and it’s high-powered stablemate, the HSS1332, deliver the performance, reliability and pragmatic design demanded by professionals. In some cases, they may be able to replace small tractor-powered snowblowers, providing the same clearing power without the added expense, complexity or maintenance of a PTO-driven unit. The 928 is powered by a GX270. These commercial engines come with an automatic decompression system, making it easy to start, even in extreme cold. The HSS928ATD and HSS928AWD come with an electric starter powered by an onboard battery, so there’s no need to find an outlet to get the engine running. A heavy-duty serrated auger busts through ice and hard pack snow, picking up snow as high as 21.7 inches in strips up to 28 inches wide at a rate of up to 1,900 lbs. per minute. The auger housing rides on reversible skid shoes, while a small LED headlight mounted next to the chute helps with visibility. Maximum throwing distance is 52 feet. The chute has 198 degrees of rotation and its angle and pitch can be controlled with an electric joystick located next to the handles. This line of snowblowers uses a hydrostatic drive system with independent control of the drive wheels, helping to both move and turn the snowblower. Once the snowblower is lined up for a pass, the levers can be locked to provide equal power to both wheels using one hand, leaving the other hand free to make adjustments to the controls. Both the HSS928AW and AWD ride on 14-inch pneumatic tires with a new tread pattern designed for grip on slick surfaces. This is a great choice for use on flat surfaces like parking lots. For owners who need to deal with slopes, The HSS928AT and ATD come with a track drive system paired with an auger height control system supported by pneumatic strut for smooth adjustment. By lowering the auger, it can dig into hard packed snow that other snowblowers would drive over. The 1332 is powered by a GX390, which is simply a larger version of the GX270. The size of the main auger remains the same, but the added power from the bigger engine lets these snowblowers move up to 2,750 lbs. per minute, making it a good choice if you regularly deal with slushy or hard pack snow. 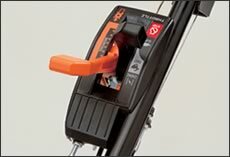 The HS1332ATD includes an electric starter along with an hour meter and auger lock indicator. Honda only sells the HSS1332 with the track drive system. 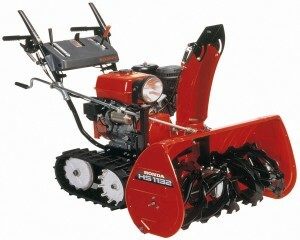 Honda covers these snowblowers and their engines for 3 years of residential or commercial use. 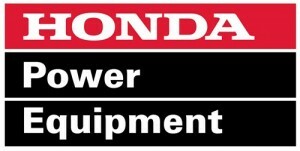 Whether you have a small single stage model or a large commercial two stage blower, you can get everything you need for your Honda at www.hondalawnparts.com. 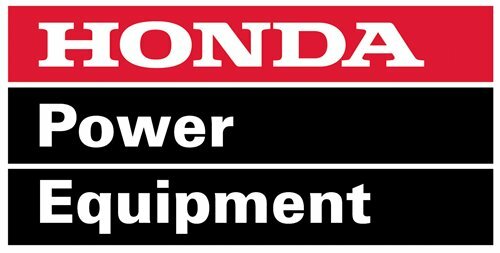 As a certified dealer for Honda Engines and Honda Power Equipment, we’re able to provide OEM replacement parts for everything on your equipment, and we can ship your order to any location in the U.S. or Canada.